Sofia is particularly interested in the study of primary and secondary resources of valuable and critical metals. Also, and due to its professional experience, she has specialized skills on geoenvironmental characterisation and modelling systems specially related to soil and groundwater contamination. 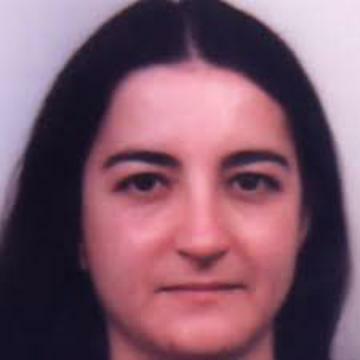 Between 2014 and 2017, she has been selected as an Expert Evaluator by the European Commission for the H2020 projects, being also a reviewer in different scientific journals. Roxo, S.; Almeida, J.A. ; Matias, F.V. ; Mata-Lima, H.; Barbosa, S. (2016) - The use of sensory perception indicators for improving the characterization and modelling of total petroleum hydrocarbon (TPH) grade in soils. Environmental Monitoring Assessment 2016, 188: 129. Nisa, Portugal. Emirates Journal of Food and Agriculture 2016. 28(6): 425-437. (central Portugal)”. Journal of Environmental Radioactivity, 142, Elsevier Edition, p. 14-33. Chemistry Research and Applications and Nuclear Materials and Disaster Research Series. renascence of an old environmental problem”.